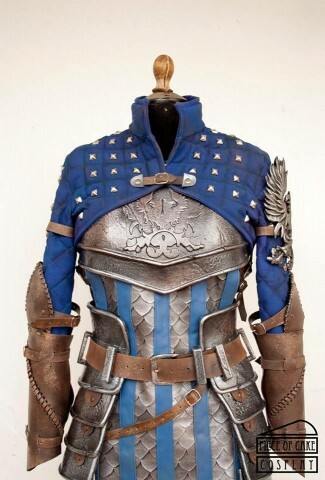 Dragon Age Grey Warden Armor « Adafruit Industries – Makers, hackers, artists, designers and engineers! Piece of Cake Cosplay has done it again. They work on commission and create highly detailed and beautiful costumes, weapons, and props. We’ve previously featured the work they did on an evil Lich King outfit, and they recently completed a replica of the Grey Warden armor from Dragon Age. 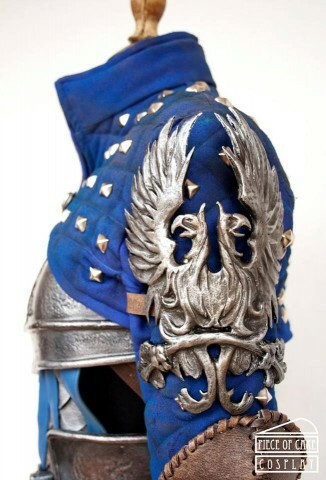 The armor includes embossed details, rivets, and sculpted birds. 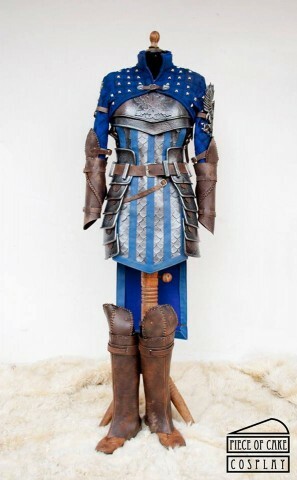 Piece of Cake does exceptional work with creating textures, and though the armor looks like it’s comprised from leather and metal, it’s actually foam fabric, fake leather, and resin. See more photos of the finished costume at Facebook.